Yes, it is true: America made a grave mistake by re-electing Barack Obama. What's done is done. The question is what do American Christians do now? Take for granted that the media will support whatever he does and even suppress the truth for their man. Support the President for the good and life affirming things he does. Pray for him. We are under Scriptural command to pray for our leaders. Pray for yourselves too. Pray that God gives you discernment and wisdom and courage. So much is at stake. 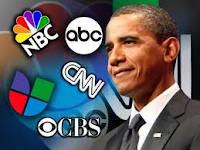 Do not be afraid to clearly and resolutely articulate those things Obama and his Administration do that are offensive to freedom (not licence) or are clearly an offense to God -- like abortion. America's soil has been polluted with the blood of more than 55 million unborn children killed by abortion. * It is a time when darkness is presented as light. Christians must speak up like never before, Evangelicals and Catholics united together to stop this unprecedented holocaust! Protest en masse against abortion and euthanasia. Take this holy battle to end abortion to the streets of your cities and towns. If it is at all possible, go to Washington and participate in the March for Life marking the 40th Anniversary of the horrible Roe V. Wade decision that opened the path to abortion across the land. Show up in such large numbers that the streets of Washington become clogged and the business of the Capitol is brought to a halt. 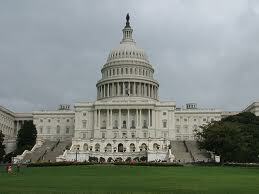 Make so much noise with loud protests of righteous indignation that the halls of Congress shake to their foundations. If you can't make it to Washington, flood the offices of your representatives and senators in Washington and the office of Supreme Court Chief Justice with emails, faxes and telephone calls marking the occasion of January 22nd. Speak for the 55 million children who had no voice and those who are about to die! *Canada's soil is bloodied by abortion too.